Applying sunscreen to your skin might seem like a no-brainer. However, in reality, most people make mistakes when putting on sunscreen. Whether they simply don’t apply enough to protect their skin adequately or they put it on haphazardly, it leaves spots vulnerable to sunburn. 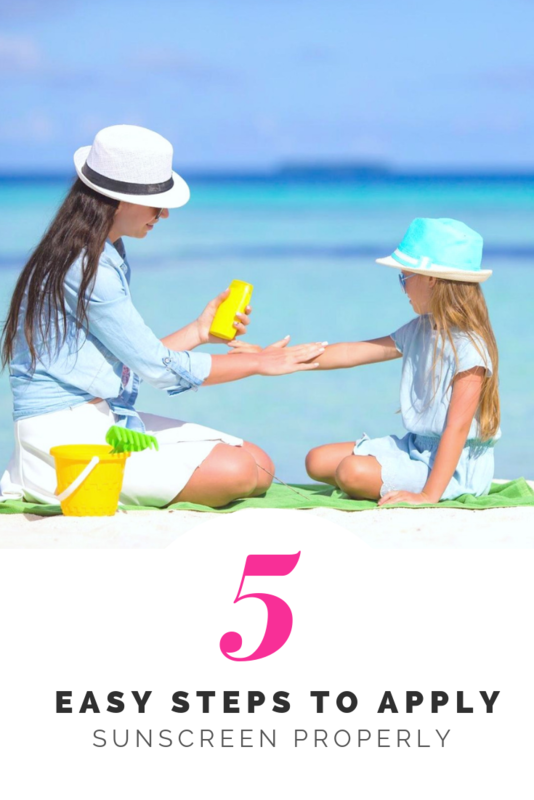 If you’re looking to maintain lifelong beautiful skin, here are five easy steps for applying sunscreen properly in order to protect your skin against the sun’s harmful rays. 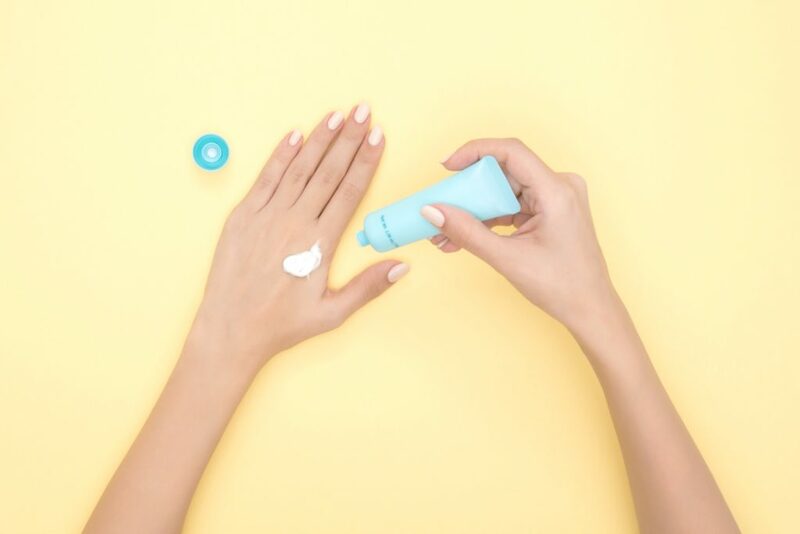 Due to the chemical reaction of sunscreen on your skin, it can take upwards of at least 15-20 minutes for the cream to adequately absorb into your skin. This makes it highly important for you to apply sunscreen before even heading outside for the day. Even if you’re leaving early in the morning or late in the afternoon. Furthermore, getting the results you want won’t happen unless you’re applying your sunscreen every day. Any moment your skin is exposed to the sun is another moment that it’s not being protected. Prepare yourself by making use of sun protection products a part of your daily skincare routine. Even if you have purchased a sunscreen of SPF 30 or higher, if you aren’t applying enough to your skin, it might as well be an SPF 10. 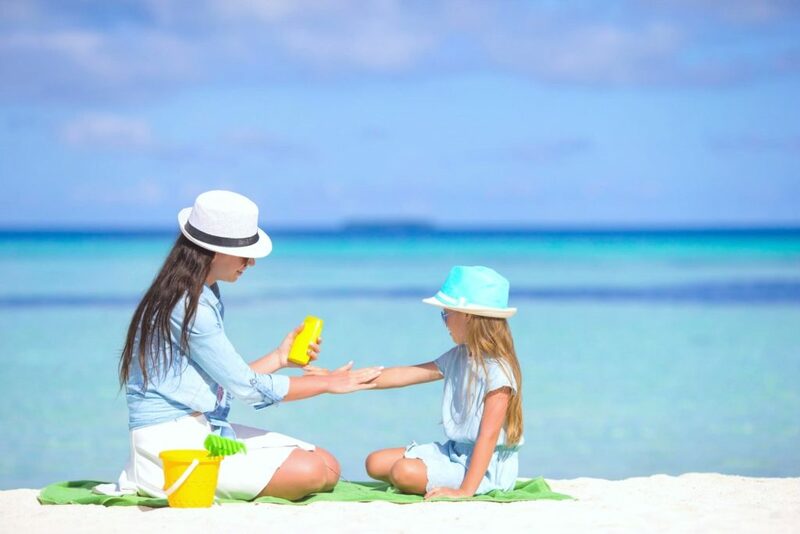 Put sunscreen on generously to ensure that your skin is appropriately covered. It doesn’t matter if you’re applying directly to your face or all over your body. For your face, a tablespoon of anything from SPF 25-30 is best. Your face sees more direct light than anywhere else. For the rest of your body, massage about one to two ounces. Make sure to cover areas that might see more sun like your shoulders, upper back and upper thighs. Don’t forget the tips of your ears! Appropriately safeguarding your skin against the sun means putting on sunscreen that’s fully absorbent and long-lasting. To do this, apply sunscreen directly to your dry skin after bathing. Do this before layering on other products like moisturizer, lotion or makeup. Again, since your face sees more sun rays than anywhere else on your body, dotting on a portion of sunscreen directly to this area is best. Do this instead of merely globbing it onto your hands and smearing it around. It’s crucial for achieving a well-balanced layer across your face. Once this is done, adding moisturizer and any mineral-based makeup is beneficial for your skin. Titanium dioxide and zinc are two minerals known for blocking UV rays. While misapplying sunscreen is a major factor in getting sunburnt, not putting it on enough throughout the day is the next biggest contributor to sun damage. Many people think applying sunscreen once in the morning or whenever they head outdoors is sufficient. Yet most sunscreens have been proven to be ineffective after just a few hours. If you’re constantly washing up, sweating during exercise, or getting wet while swimming, the sunscreen will lose effectiveness. There are plenty of reasons for your sunscreen to wear off or stop working. Therefore, it’s important to apply sunscreen every 90 minutes or so. This will ensure that you have a consistent thick layer of coverage on your skin as you go about your day. Even if you do manage to apply sunscreen correctly every time, and enough throughout the day to stay covered, you might still see sunburn. Why? Other factors about your specific brand of sunscreen or its age could be an indication of how well it will work. If you’re planning to be in the water for extended periods of time or sweating in the heat, be sure your brand is water-resistant. Meanwhile, look for options that promote broad-spectrum coverage. This means it guards against both UVA and UVB rays. Most importantly, always check the expiration date, as any expired sunscreen is not going to be as effective. You have all the tips you need to know how to apply sunscreen properly. We all hope to maintain younger, healthier-looking skin. One that’s protected from sun damage, the risk of skin cancer, and premature aging. By following these five easy steps can help ensure you’re headed towards lifelong coverage and damage prevention. Don’t we all want that I sure do! How do you protect your skin?